HD7 news, reviews and local events in HD7 areas including Colne Valley, Slaithwaite, Marsden, and communities in HD7. Are these places the most relevant to this postcode? Let us know! "OH MY GOD, that's brilliant!!" 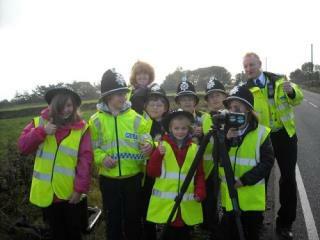 This week local officers have been conducting speed checks in the Scapegoat Hill area with the help of youngsters from Scapegoat Hill School. The speed camera was set up on Halifax Road. If you have any issues with speeding vehicles on a particular stretch of road, please call your local NPT and we will set up checks in your area. Find a Local Business Get the HD7 Newsletter!